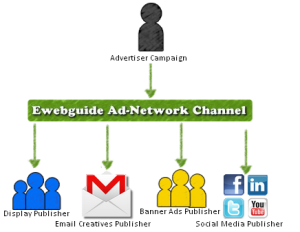 Ewebguide is an Internet Marketing establishment that involves the promotion and advancement of websites by enhancing the visibility in SERPs through optimization and advertising. SEM may use SEO that adjusts or rewrites website content to achieve a higher ranking in search engine results pages or use pay per click listings. We provide better Service at Lowest Possible Price. We have a team of Well Qualified and Experienced Employees. We understand the need of client as we have years of experience in SEO. We keep updating ourselves with latest technology updates on Internet (especially Search Engine Updates). We use genuine ways of SEO which is beneficial in long term as-well-as short term. To have long-term strong relationship with them for our best. To understand what your audience needs and how can we satisfy them. To analyze your competitors position and then give you a competitive and smooth edge. Our Mission at Ewebguide is to boost our ranking at the zenith among top SEOs of the world. With the help of our professionally managed, dedicated and cooperative team, we would like to have long track record of success in online traffic promotion activities and targeting low-cost web-traffic. Services with proper and appropriate efficiency are provided within economical limitations to the interested beneficiary. Tell your story from where you grew up and what are you doing right now. Ewebguide has legal authority as professional translation of web pages, registration of a domain name with a top level domain in the target market, and web hosting that provides a local IP address. Otherwise, the fundamental elements of search optimization are essentially the same, regardless of language.